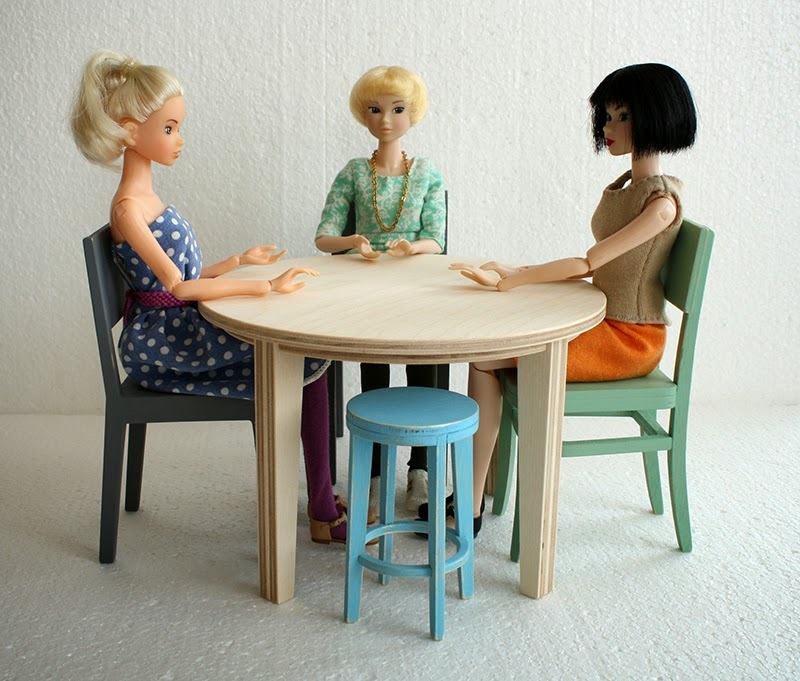 Round table for 10-11" dolls. Model 608-02. It fits also 1/4 size dolls as a coffee table. 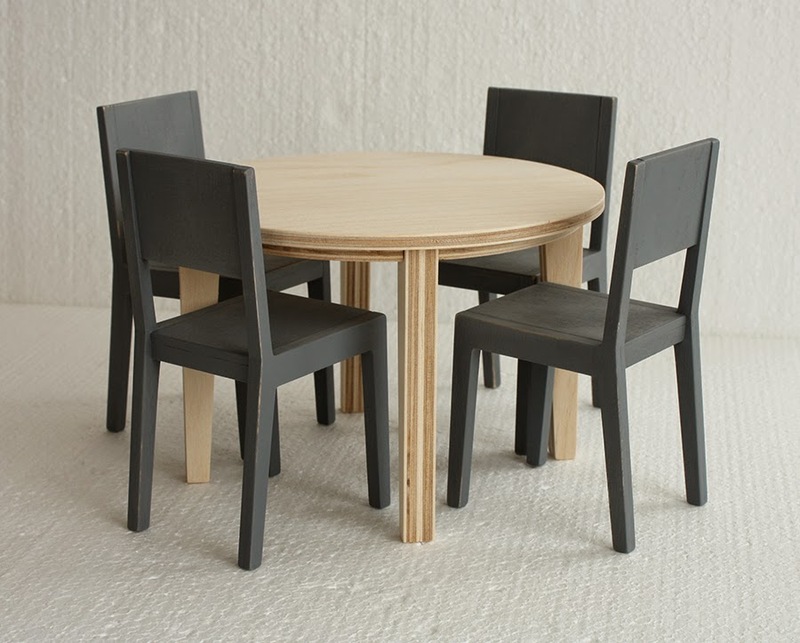 Height 11,6cm (4 9/16"), table top diameter: 17,2cm (6 13/16").